The Hamburg Welcome Center (HWC) is a first point of contact for all new citizens from home and abroad answering questions about being "New to Hamburg". After making an appointment at HWC by E-Mail or by phone, you can obtain personal advice as well as information about living in Hamburg and information about Hamburg as a study and research location. Here you can request your residence permit and the initial registration of residence. The service is free of charge. 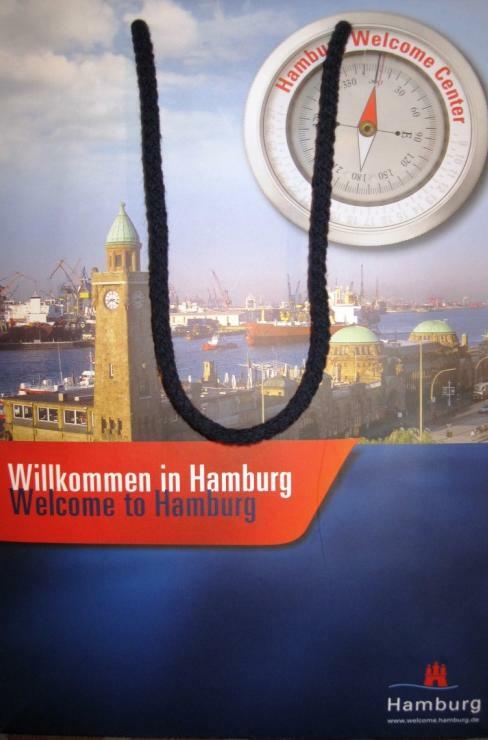 You may also ask the employees of HWC for a "Welcome - to - Hamburg bag". This bag contains useful flyers and brochures such as a city map, information on public transport, recreational offers, important addresses in Hamburg etc. The Department of International Affairs (PIASTA) has made a brochure (PDF) for students for the purpose of orientation in Germany and Hamburg in particular. The information is also relevant and useful for doctoral researchers. Are you planning to come to Hamburg? Here is an overview, in which the current costs of living for the city of Hamburg are listed. City of Hamburg (HWC) Hamburg Public Transport Association (HVV): On enrolling as a doctoral researcher at Universität Hamburg you will automatically receive a HVV Semester Ticket valid in the entire HVV Network, “Gesamtbereich” together with your matriculation. time-consuming. You may choose short-term rentals for the first weeks of your stay in Hamburg until you find a suitable accommodation. The Hamburg Welcome Center provides further information on 'how to find an appartment'. Please ask for an appointment with them. You will have to conclude a binding rental contract to rent a room or an apartment. You also have to pay a deposit, Kaution before moving in which is a security payment the landlord can retain in case you cause damage in the rented room or apartment. Note that aside the net rent, further costs called Betriebskosten including heating, water, electricity, TV, telephone and other are incurred. Housing subsidies: In case you only have a small income you can apply for governmental housing subsidies. How to find an appartment? You can find residential advertisements under the category 'Kleinanzeigen' in newspapers as for example the Hamburger Abendblatt. Here, you find a glossary on abbreviations used in residential advertisements. The Accomodation Information Center offers assistance with general housing information for doctoral researchers. The "Studierendenwerk" may offer international doctoral researchers a furnished room in student residences at an affordable price of around 233 € monthly. To be eligible for a room at a student residence, you must be under the age of 30 and enrolled as a doctoral researcher. Applications from students over the age of 30 will be considered separately. Applications from students over the age of 35 will not be accepted. Online-application: Apartments offered by the Studierendenwerk are scarce. You can specify up to 3 of the 23 halls of residence, or leave the choice open which gives you more chance to get a room. Applications for a room at a student residence should be submitted in good time as you should expect a waiting time between 3 and 6 months for a room. It is recommended to also contact some private student housing options. Please check WG-Gesucht for a shared flat. Hostel Hamburg Booking: If you prefer to stay at hotels or hostels at a favorable price for the first few days in Hamburg, check outthe Hostel Hamburg Booking. A visa allows you to enter a country. If you do not hold a German passport, then you may need a visa before entering Germany. Check this list of countries whether you need a visa to enter Germany. Here you also find more information on visa regulation. Nationals from Australia, Brazil, Canada, Israel, Japan, South Korea, New Zealand and the USA can enter Germany for doctoral study purposes without a visa and stay for 90 days, then once in Hamburg apply for a residence permit at: Hamburg Welcome Center (HWC). Non-EU nationals: As a general rule, all foreigners require visas for stays of longer than three months or stays leading to gainful employment before entering Germany. NonEU nationals should not enter Germany on a tourist or Schengen visa and must return to their home country as tourist or Schengen visas cannot be changed into a residence permit in Germany. All applicants must submit visa applications, together with all the required supporting documents, in person at the German Embassy or German Consulate in their home country prior to departure. The decision on a visa application may take several weeks. Applications should therefore be submitted in good time. Visa application forms can be downloaded and completed online at: visa application form. The completed and printed out form can then be taken to the interview at the visa section of the German mission responsible for your place of residence. Visa issuance is based on the regulations applying to the residence permit. As a prospective doctoral researcher you will file an application for a student visa if you do not have an employment contract with Universität Hamburg or if you do not receive a scholarship. Therefore you possess a student status which means that the issuance of a student visa is based on an admission agreement for studying purposes granted by the Universität Hamburg. The admission application procedure may take several weeks and you have to present the admission documents from the university when filing for residency with the Hamburg city authorities. This may cause time delay for starting your doctoral studies. Once in Germany you need to take the student visa to Hamburg Welcome Center (HWC) or Hamburg’s District Office to apply for a resident permit. If you have an employment contract with Universität Hamburg or receive a scholarship it is strongly recommended that you apply for a "D-visa", generally valid for 3 months, which once in Hamburg can be turned into a residence permit. You have to register your address in Hamburg with the Hamburg Welcome Center (HWC) within the first week of arrival to obtain a residence registration certificate, “Meldebescheinigung”. The registration form is available in PDF format here. It is in German but you can find an English completion help here. For any questions regarding your residence registration and for a successful application, we recommend that you contact an English speaking advisor at the HWC by phone or e-mail. Please keep this registration document and make some copies of it. It will be your proof of residence in Germany. You will need it for example at banks and libraries etc. You will also get a tax card at the HWC, if you are eligible. A residence permit allows you to live in a country. Everybody staying in Germany for more than three months must apply for and obtain a residence permit. You should first register your residence (cf. 7.) with the Hamburg Welcome Center before you apply for a residence permit. As of 1st September 2011 an electronic residence permit (eAT) in credit card format replaces the paper form. The documents needed for the residence permit application are listed below, based on information provided by the Hamburg Welcome Center. If any of the required documents is missing, your application will be refused. Thus, please always check requirements with English speaking advisors of the HWC before applying. You need to arrange an appointment with Hamburg Welcome Center. Residence permit 100 € - 250 € (subject to changes), underage children pay less fees. For any questions that you may have regarding your planned trip to Germany with your family you can get in touch with an HWC service advisor by e-mail info"AT"welcome.hamburg.de or arrange an appointment by phone: ++49-40-42854-5001 prior to arrival. Please note: In individual cases, further documents have to be submitted. Even if all required documents are submitted an immediate issue is, under certain circumstances, not possible because further authorities or institutions may be involved in the application procedure and their positive statement has to be waited for. Student Identification: confirmation of admission to doctoral proceedings or enrollment certificate as a doctoral researcher. A proof of income would make the opening of a bank account easier (pay slip, bank statement or proof of scholarship). Here you find information in English for doctoral candidates and doctoral researchers.